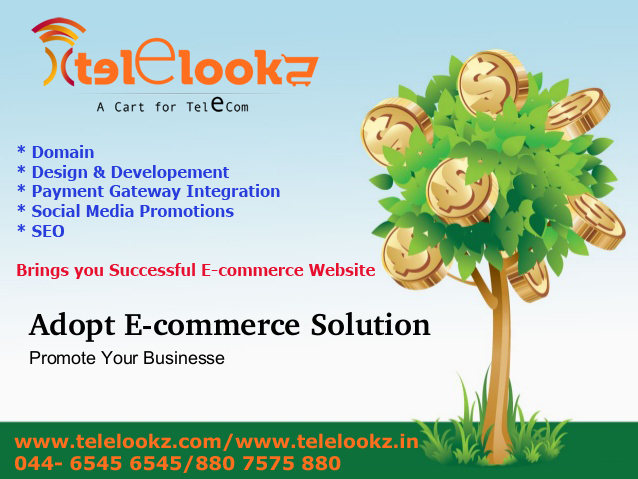 We at Telelookz place a high premium on understanding your business model and work at offering a range of web application development solutions that you can select from. Having been in the corporate web application development business for the past 3 years, we are able to offer you services that are specific and exclusive to your requirements. Telelookz can develop an application from the ground up, providing you with exactly what you need, not just what we have available. Easy way to build your store! Here are five ecommerce trends to pay close attention to over the next twelve months. Effective mobile commerce isn’t happening in a vacuum. Mobile shoppers don’t use phones to the exclusion of in-store or full website research and purchasing. Consumers don’t live in one channel. Flipping between tablet, phone, computer, and store is merely part of today’s shopping experience. Mobile commerce may have been considered an add-on in 2012, but in 2015 it’s simply the way things are done. It’s not hard to imagine a customer researching a product online, comparison shopping while in the store, and later ordering the item from their iPad. Driven by technological changes that create opportunities to capture more of the market, payment and delivery of goods across channels will become ubiquitous in 2015. Consumers expect retailers to give them what they want, when and where they want it. The word on the street for 2015 is passive Internet access. Nowhere is this more apparent than in wearable technology. While Google Glass had many concerned about looking like Robocop or a third grader with headgear, Apple’s iWatch promises to deliver similar convenience without messing up your hair. What this means for ecommerce is greater access to consumers, easy like smartphones, but harder to misplace or drop in the street. Wearables will put the Internet within easy reach, making it part of the millisecond time-check running the lives of Type A’s everywhere. Until now, brick-and-mortar stores have had a strategic advantage over online stores—immediate fulfillment. Purchase now, leave the store with your item has been the name of the game for physical shopping since layaway and delayed gratification became an artifact of bygone days. Leave it to ecommerce to convince consumers that touching, feeling, hauling goods, and rubbing elbows with the throngs isn’t necessary. Thanks to faster, cheaper, and easier shipping, consumers need not sit around pining for the UPS man any longer. Lightning fast delivery, wearable technology, and market-disrupting deals are only window dressing if the underlying infrastructure isn’t accurate and compliant. Like the handsome, guileless homecoming king, it’s easy for retailers to be distracted by the hot, seemingly easy catch (ecommerce), and ignore the brainy, substantive wall flower: compliance. • “In the beginning, e-commerce was really about getting commodity products online as cheaply as possible. Now, we’re moving into the more exciting phase of e-commerce, where it’s about emotional products – the things that people really cherish.” Founder and Chief Executive Officer, Fab.com JASON GOLDBERG. for server side/client side scripting to create . Developers integrate coding into front end designs created by talented team of designers for unified, harmonious, logical, intuitive interface. The final interactive website is tested for bugs and errors on in-house server before being hosted and again after hosting with small kinks ironed out in the process. Rigorous tests for accessibility, errors and functionality are carried out on different browsers and platforms. You receive professional, knowledgeable and thorough services. We have the infrastructure, communication base, support structures. You receive prompt and punctual services, 24×7 support before, during and after completion of the project. We are friendly, geared to assist you prosper and grow in your business and achieve greater success in a competitive environment through your interactive websites designed and developed by us, offering best ROIs. Create an online store with us.. Different app like Live chat, Bulk order Enquiry, pricing app.,etc. 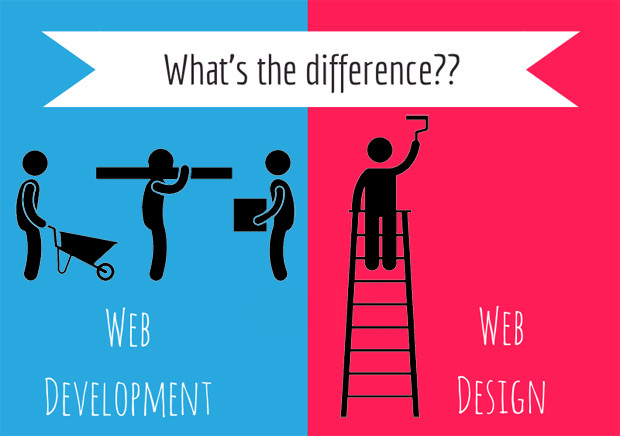 Many people use the two terms “web design” and “web development” interchangeably, but they really do have two different meanings. If you’re looking for someone to build your website, you need to know the difference. Web design is the customer-facing part of the website. A web designer is concerned with how a site looks and how the customers interact with it. Good web designers know how to put together the principles of design to create a site that looks great. They also understand about usability and how to create a site that customers want to navigate around in because it’s so easy to do. Web development is the back-end of the website, the programming and interactions on the pages. A web developer focuses on how a site works and how the customers get things done on it. Good web developers know how to program CGI and scripts like PHP. They understand about how web forms work and can keep a site running effectively. But when you look for someone to work on your site, you need to know what you’re looking for — web design or web development. எப்படி ஒரு இணையத்தளத்தில் கிரெடிட் கார்ட்டுகள் வேலை செய்கிறது? கீழே உள்ள படத்தில் இணயதளத்தில் கிரெடிட் கார்டு முலம் பண பரிமாற்றம் நடைபெறுவதை பார்க்கலாம். இணையதள வாடிக்கையாளர் ஒரு தளத்தில் தனக்கு தேவையான பொருட்களை தேர்வு செய்து அதை செக்கௌட்(checkout) பேஜ்க்கு போகும். இணையத்தளத்தில் பாதுகாப்பான பண பறிமாற்றம் இருந்தால் அது நேரடியாக பண பரிமற்றதளத்துகு சென்றுவிடும். பண பரிமாற்றத்துக்கான தகவல்களை கொடுத்தல் அது ப்ரோசெச்சொர்(processor)க்கு சென்றுவிடும். அந்த ப்ரோசெச்சொர்(processor) கிரெடிட் கார்டு வழங்கிய வங்கியில் சரிபார்த்து அந்த கார்டின் பணத்தை செலுத்த அனுமதிக்கு அனுப்பும். அந்த வங்கி மெர்ச்சன்ட்(merchant) அக்கௌன்ட்(account)க்கு பணத்தை செலுத்த அனுமதி கொடுக்கும். இந்த அனுமதிக்கு எடுத்துகொள்ளும் நேரம் 3 – 15 வினாடிகள் மட்டுமே. இந்த பண பரிமாற்றத்துக்கான அனுமதியை இணையதளத்துக்கு அனுப்பும். அதன்பிறகு பணபரிமாற்றதுக்கான மின்னஞ்சலை வாடிக்கையளர்களுக்கு அனுப்பும். 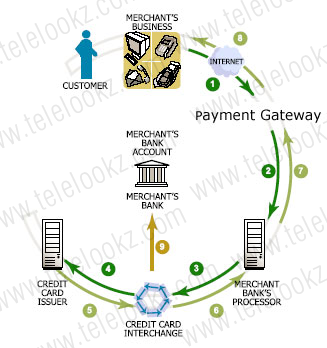 இப்பது அந்த பணம் உங்கள் மெர்ச்சன்ட் அக்கௌன்ட்(merchant account)க்கு வந்துவிடும். அதற்கு பிறகு பணபரிமாற்றம் செய்யபற்ற இரு தினங்களில் உங்கள் வங்கி கணக்கு வந்து சேரும். இதுதான் இணையத்தளத்தில் பணபரிமாற்றம் செய்யும் முறை.